Lecturers of Department of Communication Science of Universitas Muhammadiyah Yogyakarta Budi Dwi Arifianto, S.Sn., M.Sn. and Zein Mufarrih Muktaf, S.IP., M.I.Kom. performed community service to explore village potential through films in Sumber, Magelang. Collaborating with the Sumber Film Community; Office of Research, Publication, and Community Service (LP3M) of Universitas Muhammadiyah Yogyakarta (UMY); and village government, the lecturers conducted workshop at Pendopo of Sumber on Sunday (24/2). The workshop was one of the community service programs commenced from 16 February to 2 March. 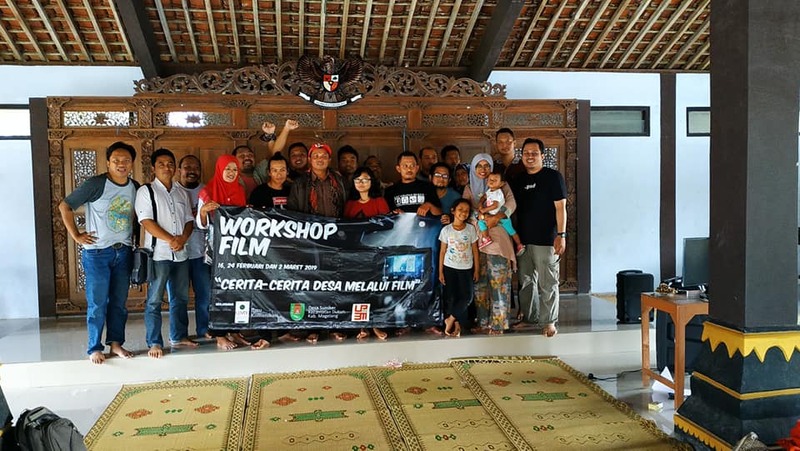 Attended by Sumber Film Community, organizers of Pokdarwis (Kelompok Sadar Wisata), PKK, art studios and Komunitas Forum Anak Desa Sumber, the workshop aimed to enhance creativity to produce films and raise village potential through films. The participants were also challenged to organize open air cinema on the last day of workshop (2/3). “The open-air cinema is a mean of exhibiting films besides public cinemas and alternative film screenings,” declared Budi in an interview on Saturday (2/3). Meanwhile, the workshop speakers were film activists gaining national achievements as Bowo Leksono from Cinema Lovers Community (CLC) Purbalingga, Insan Indah Pribadi from Sangkanparan Cilacap, and Citra Dewi Utami from ISI Surakarta. “After the workshop, there will be a film festival as requested by the Sumber people,” informed Zein.